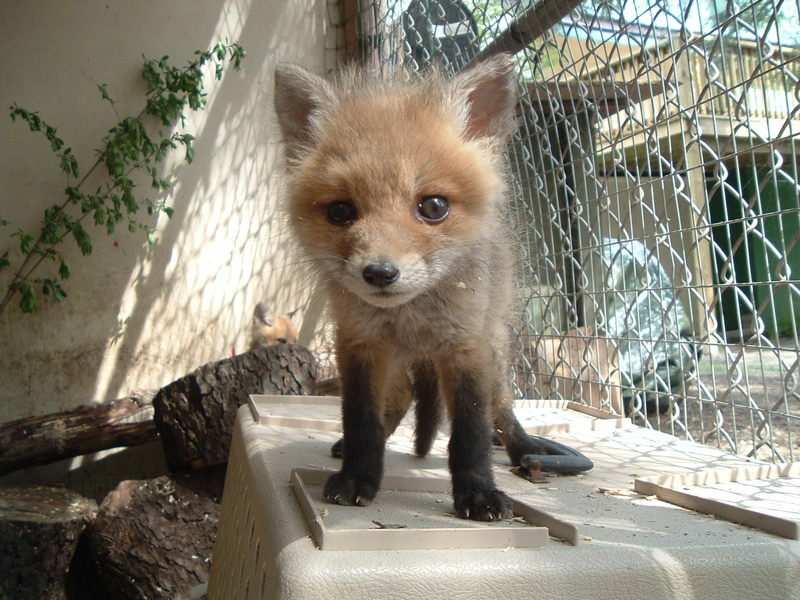 Blind Fox Pup Needs Sponsors! 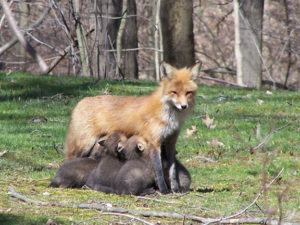 Sponsors are needed for our new fox pups this spring. So far, all of the pups are special needs pups. One female pup, whose finders called her “Foxy” is blind. The animal eye specialist that we took her to says that she doesn’t even have pupils. You would never know that she is blind by the way she navigates around the pen with ease- jumping on logs, pouncing on insects and trying to coax the other pups to play with her. She is truly an amazing little girl. Sponsors are needed for her as she will need continuing medical care as well as a new home built for her – she will be staying at Fox Wood permanently. 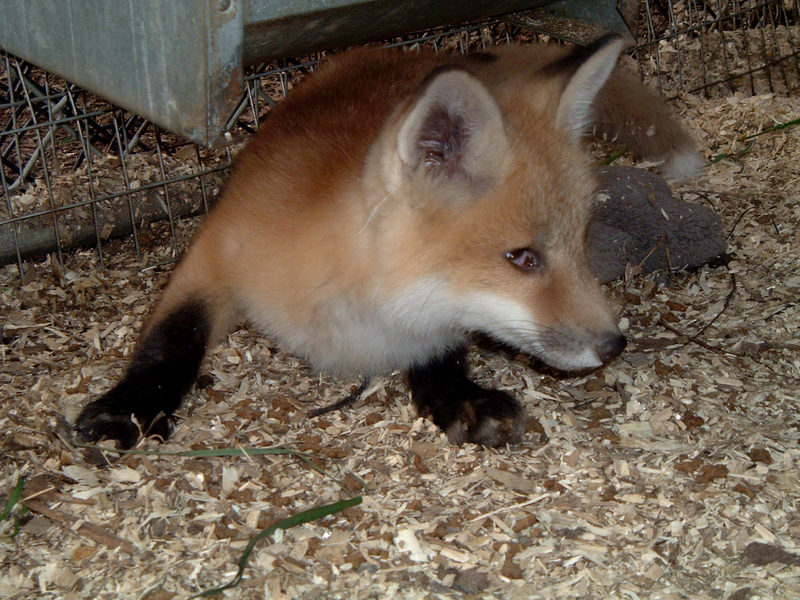 If you would like to sponsor this little fox, donations can be sent via paypal to foxladye@yahoo.com. we will promptly e-mail you a photo of her and you will be added to our newsletter list. 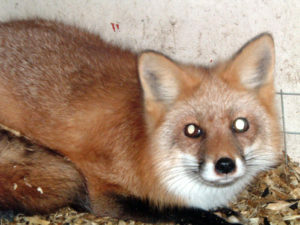 I received a year old female Red fox this summer that had been hit by a car. While looking her over for the first time, there were some things about her that were confusing. 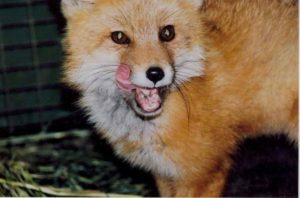 I noticed that she was very small – the size of a pup, yet when I looked at her teeth, they indicated a fox one year old. “Why is she so small?” I wondered. How did such a small inferior animal survive all of the coyotes in that area? 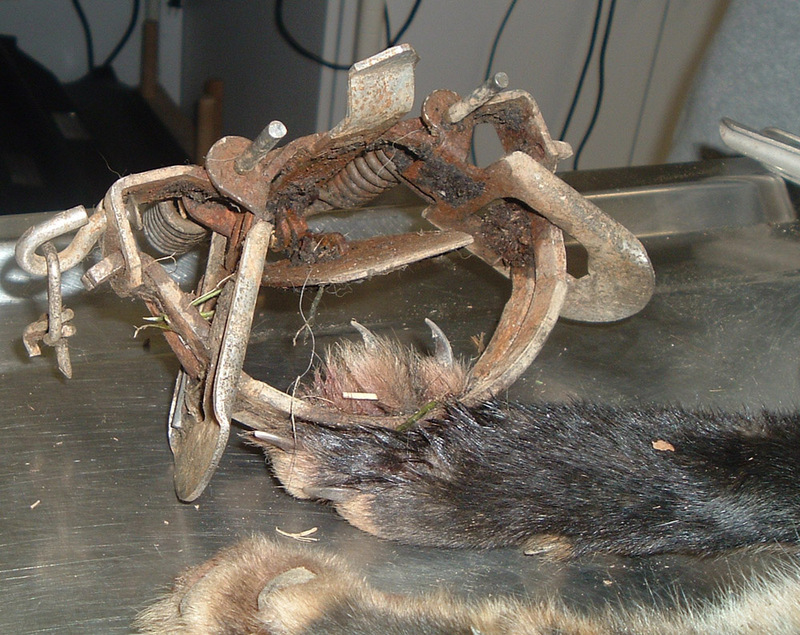 The pads of this fox were bleeding and oozing, as though she had never been on rough ground before. Next, I noticed that she acted as though she could not see me, yet there was no apparent head or eye injury. Hmmm…. weird. Is this fox blind too? Her eyes did not look perfect, but I couldn’t explain exactly what was different. There was a lump in her back , and her rescuer explained that she was lying in the road. Hit by a car of course. But, she was able to sit up and move her back legs, a good sign. So, in to the vet for examination and x-rays we went. X-Rays revealed a broken back, but since she was not paralyzed, we decided to give her a chance. Normally victims with broken backs are euthanized. But, I would be able to keep her very quiet and give the back a chance to heal. Examining her sight, or lack of, we determined that she might be able to see a little, but we weren’t sure. I suspected that poor nutrition may be the cause of her blindness. She only weighed 6 pounds – nearly half the weight that she should be, yet she wasn’t overly thin. The bleeding raw pads were not a symptom of disease here, but rather being on turf that they had never felt before. Rough ground. I have pieced together her story after much thought and investigation. 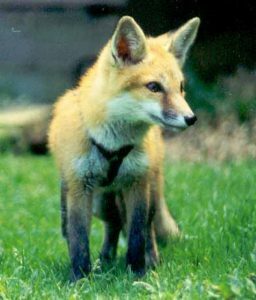 The previous year a woman in that area had been turned in to the Conservation department for having a young wild Red fox pup. She of course lied when the officers asked her about it. 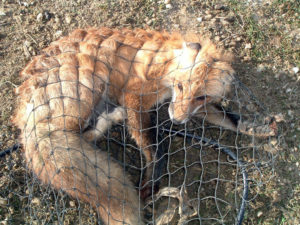 She kept the fox hidden (no sunlight) and fed it all the wrong diet. Improper diet will definitely cause blindness, as well as inferior size, growth and development. By the next spring, this fox had become a nuisance rather than the novelty it once was and the woman decided to release it back into the wild. Never been outdoors, her poor feet were cut up by the ground that was relatively rough compared to soft floors or carpeting. Blind or nearly so, she was unable to navigate oncoming vehicles. How did she avoid coyotes? I can only speculate that she avoided coyotes because she stayed close to houses, traveling mostly roads. Why must people kidnap wildlife????? 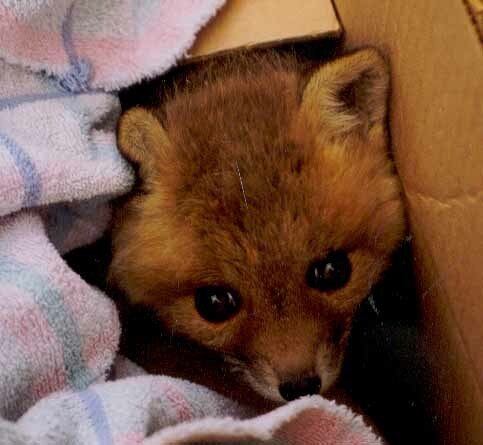 Every year I get countless calls about wildlife people “rescued”, yet only decided to find appropriate help for them when the animal was either dying or they found it suddenly inconvenient. 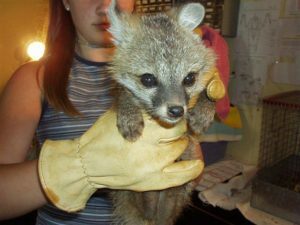 Every year I get calls for fox pups, coyote pups, baby raccoons, fawns, baby skunks… all that people kidnapped from their mothers. Wildlife Rehabilitators can read through the lines pretty well and know when people are not telling us the whole story, or the truth. We can also compare the age of the babies with the story that is being told to us and make a fairly accurate assessment of whether the truth is being told or not. Fawns are a good one… I once had a father and son coaxed into turning in a fawn the boy had supposedly rescued from its dead mother as a newborn. He said he had it 2 days and had brought it home from the boy scout camp. If he had pulled the afterbirth off of it like he said, then why was the fawn clearly two WEEKS old? 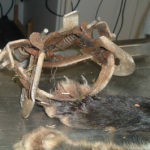 What had happened was he concocted the story , remembering a popular video shown on animal shows of “freeway” a fawn that was delivered on the side of the road. He used this story to create his own fantastic story of heroics. What really happened was that he stumbled on the fawn in the woods, doing what it was supposed to be doing – lying very still where its’ mother had hidden it. Many adult have kidnapped fawns like this. A very selfish act. The bring them home, let their kids play with them , let their dogs sleep with them, and then when the fawn is dying – they decide to make some phone calls to get help. Oh well… enough of that for a while. About the Red fox female, we will call her Scarlet – guess what???? Her back has healed AND good and proper nutrition here at fox Wood has restored her vision! 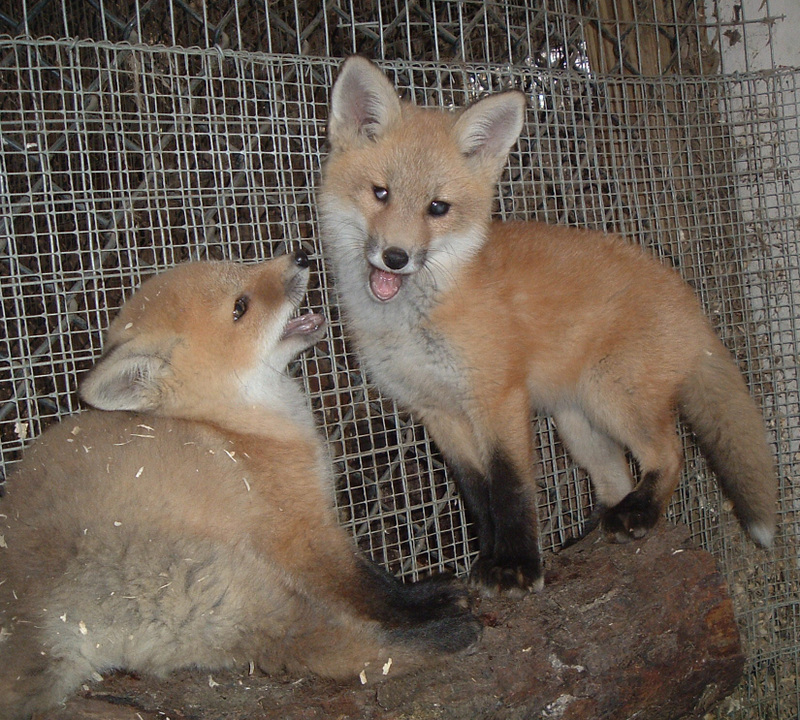 She is gaining size and weight and shares a pen with Roamy, a young fox I will write about at a later time. 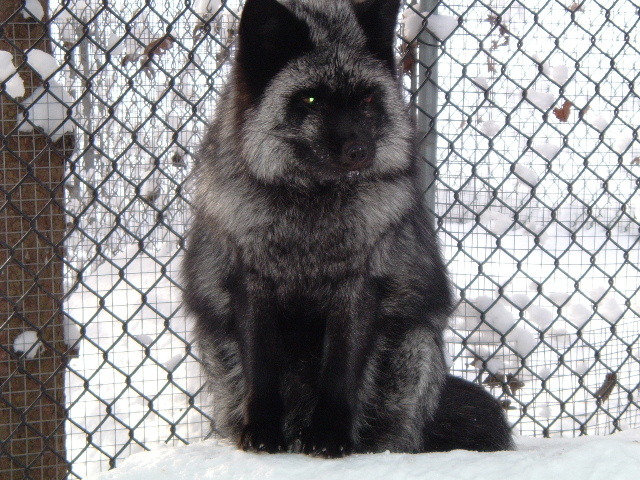 We will evaluate Scarlet in the Spring and see if she is fit for release at that time.